There is plenty to know beforehand and our goal is to educate you. We want you to make an informed decision before investing in this alternative energy option. With the cost of solar panels declining and installations rising, more options and providers become available. Here, we list a few questions to ask yourself prior to the plunge into solar panel power. Is your roof compatible with solar? Likely, one of those most important questions to ask yourself is whether or not your roofing material and overall layout can support solar panels. Determining how much sunlight your roof will get is especially important in weighing the costs versus the return. 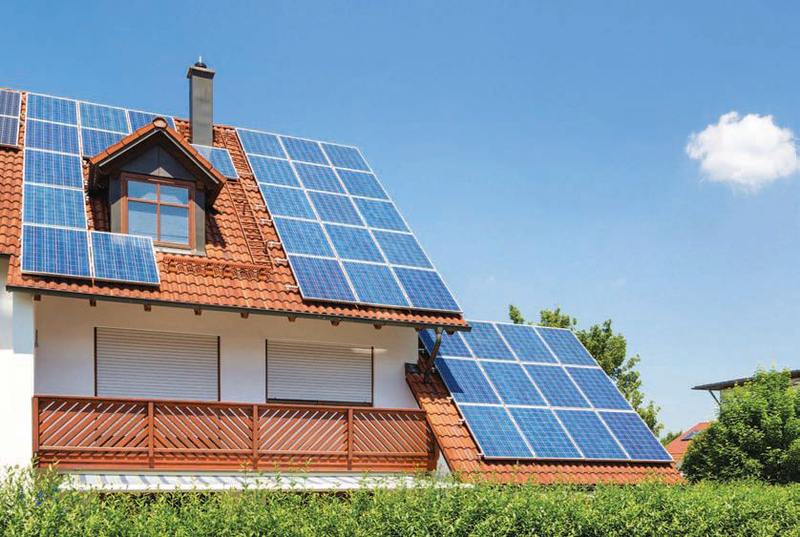 Is your roof structurally-sound for solar? If you’ve got as much access to sunlight as the days are long, the next question is durability. Whether or not the roof itself is capable of withstanding the installation and longevity of such. Often, warranties last a couple of decades. You’ll want to ensure that the roof itself can uphold the installation for that time frame without needing repairs. Otherwise, years down the road, when and if repairs are needed, the costs of removing the solar panels will have to be added to the overall invoice. This might not be the be all, end all, however. You may have the option to inquire about a community solar area. These are distributed from a high-sunlight area to multiple locations, allowing you to invest partially in options. Are solar panels authorized? If you happen to answer to an HOA, it’s best to confirm with their CC&Rs or other policies and procedures concerning whether or not solar panels are allowed. If they are, they may have specific guidelines, as well as, referrals for specific contractors in order to be within compliance. Have you already improved efficiency elsewhere? One of the main reasons people invest in solar is because of the significant savings they can incur in the big picture. That said, to justify the investment, it is best to confirm that you have already decreased energy usage and costs in other efficient upgrades and actions. Which kind of solar is best for your needs? There are two leading solar technologies to pick from. Photovoltaic, which uses arrays of cells to turn sunlight into electricity. Thermal, which uses sunlight to heat water or air for use inside. It is best to research which option is the most appropriate. Some may not be readily available in your area for installation and maintenance. The prices for installation, leasing and even savings varies depending on location. There are going to be variable costs as well with different energy providers and energy consumption unique to your needs. Find out about fees, the timeframe it will take to get you connected to the grid, and how you will be credited or reimbursed for the electricity you generate? Who will install your solar panels? Your solar panels are only as good as they are properly installed. While referrals from others are helpful, it is imperative that you seek out providers who are well-qualified and will honor the lifetime of your purchase. Don’t commit to a contract until all the details of ownership and financing have been identified and resolved. Should you choose to lease, it is important to confirm that the amount you will pay for electricity is worth your investment. Especially considering that they may remove the solar panels upon completion of the contract. If you choose to buy the solar system, it obviously can pay for itself in savings, well after the payments have been made in full on the unit. Be sure to weigh the savings against the benefits from either leasing or ownership, while also calculating costs for occasional maintenance after install. These are just a few tips on what to consider before leasing or buying solar panels. Have more thoughts or experience to help fellow homeowners considering installation? Feel free to comment below!